I made a smoothie! When one visits a juice and/or smoothie place they always have crazy names like Strawberry Dream or BananaRama or something. Generally I am not that creative when it comes to names. As a kid I named all my stuffed animals what they were. Penguin (my favorite stuffed toy) was called Penguin and his best friend Walrus....yup was a walrus. They are still best friends. I also had a platypus (he was a beanie baby, before beanie babies were a thing) he came with a name, but I changed it to Platypus. Because he was the original color I had a lady offer me $500 for him back in the day and I said no. I was a kid, I didn't have bills to pay. 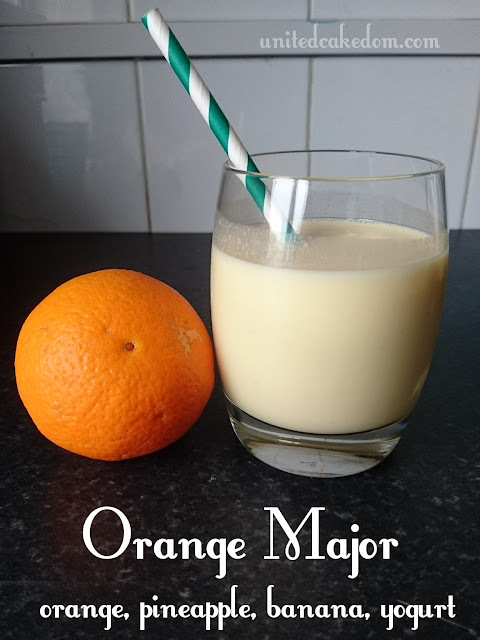 Anyhow, I was drinking this and googling cocktails and something was called Major something or another and I was like I should call this Major something or another and I did. But at the end of the day it's an orange, pineapple, banana, and yogurt smoothie and here is how I made it, it's super easy. Juice the orange and pineapple and then blend with the banana and yogurt. If you like it cold add a few ice cubes! 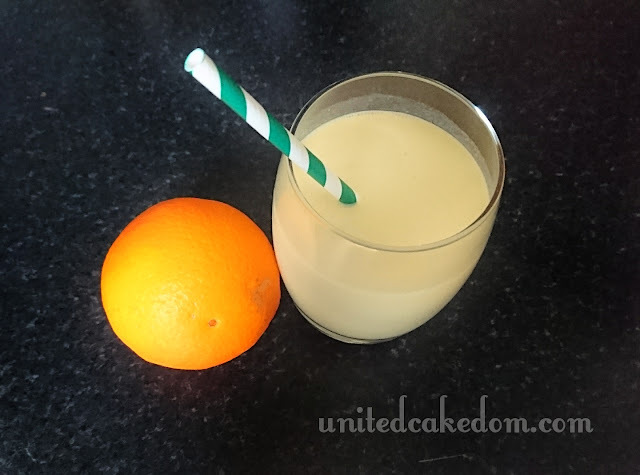 It's perfectly orangey with just the right amount of pineapple and banana! This would also make great ice lollies. Pour them in ice lolly moulds and freeze! Yum!